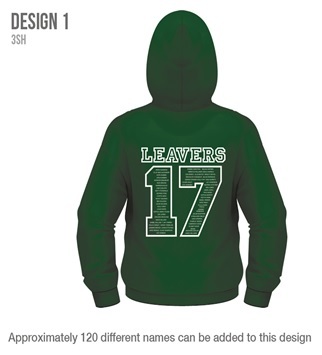 Design option 1 for leavers hoodies. The design consists of all the leavers names (approx. 120 names) inside the leaving year date.